E.D. Baker‘s Tales of the Frog Princess is being made into a Disney movie. Read excerpts and deleted chapters of E.D. 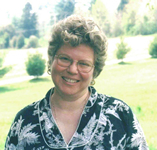 Baker‘s children’s fantasy at her website. Tales of the Frog Princess — (2002-2010) Ages 9-12. There will be eight books in this series. 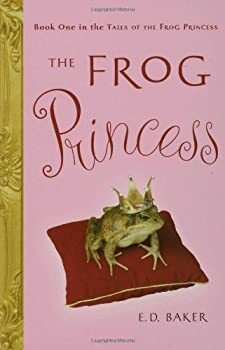 Publisher: After reluctantly kissing a frog, an awkward, fourteen-year-old princess suddenly finds herself a frog, too, and sets off with the prince to seek the means — and the self-confidence — to become human again. Writing a critical review for a book as harmless and fluffy as The Frog Princess makes me feel awful, almost like I’m unnecessarily picking on a little girl in the corner who is minding her own business and trying to quietly read her book. But the fact remains that although The Frog Princess is a diverting and easy-to-read story, it’s also rather patchy and forgettable. Quite simply: there are better books to be read to your kids, and plenty that include frogs and princesses. Fairy Tale — (2008-2014) Publisher: Ages 9-12. Publisher: When Tamisin discovers real wings growing from her back she wants to know what is making her supposedly normal life so weird. But before she can piece together the facts, she is kidnapped by goblins and brought to the land of fairies, goblins and many other magical creatures… including her real mother, Titania, the fairy queen. As she falls in love with Jak, who’s half goblin, and realizes the depth of her human parents’ love for her, she finds that having a set of beautiful wings suddenly sprout from your shoulder blades isn’t all bad, and there are many good reasons to fly…. The Wide-Awake Princess — (2010- ) Ages 9-12. Publisher: In this new stand-alone fairy tale, Princess Annie is the younger sister to Gwen, the princess destined to be Sleeping Beauty. When Gwennie pricks her finger and the whole castle falls asleep, only Annie is awake, and only Annie — blessed (or cursed?) with being impervious to magic — can venture out beyond the rose-covered hedge for help. She must find Gwen’s true love to kiss her awake. But who is her true love? The irritating Digby? The happy-go-lucky Prince Andreas, who is holding a contest to find his bride? The conniving Clarence, whose sinister motives couldn’t possibly spell true love? Joined by one of her father’s guards, Liam, who happened to be out of the castle when the sleeping spell struck, Annie travels through a fairy tale land populated with characters both familiar and new as she tries to fix her sister and her family… and perhaps even find a true love of her own. A Question of Magic — (2013) Publisher: Serafina was living the normal life of a village girl, when she gets a mysterious letter — her first letter ever, in fact–from a great aunt she’s never heard of in another village. Little does ‘Fina know, her great aunt is actually a Baba Yaga, a magical witch who lives in an even more magical cottage. Summoned to the cottage, Serafina’s life takes an amazing turn as she finds herself becoming the new Baba Yaga. But leaving behind home and the boy she loves isn’t easy, and as Serafina grows into her new and magical role answering the first question any stranger might ask her with the truth, she also learns about the person she’s meant to be, and that telling the future doesn’t always mean knowing the right answers. In her inimitable and bestselling way, ED Baker has crafted a funny and romantic story that combines some fabulous details from the original Slavic tale, with an all new spin! CLICK HERE FOR MORE BY E.D. BAKER.